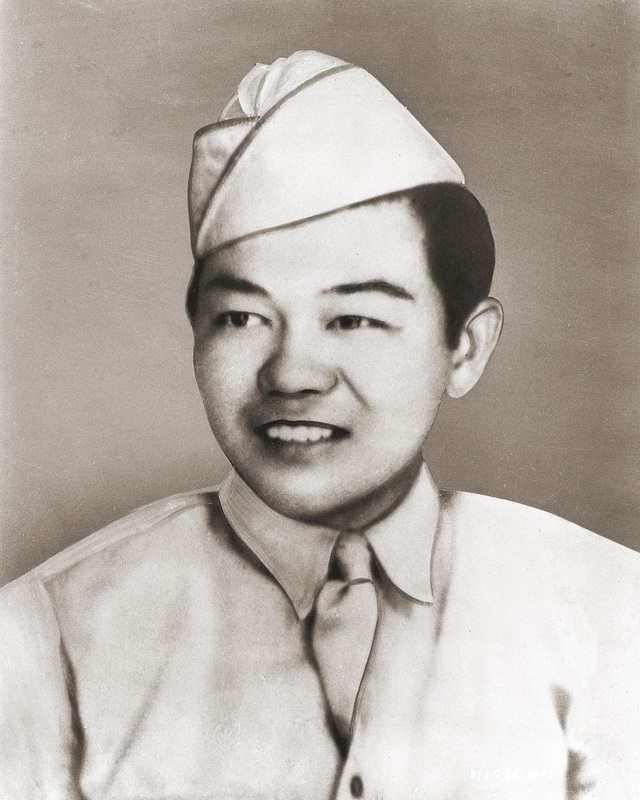 LOS ANGELES — A memorial was dedicated on Nov. 9 to Abraham Lincoln High School alumnus Sadao Munemori, who graduated from the school in 1940 and was killed in battle during World War II. Lincoln High School alumni and students honored the memory of alumnus and Medal of Honor winner Pfc. Sadao Munemori. In an emotional ceremony, the polished black marble memorial was unveiled in front of the school’s auditorium, engraved with the Medal of Honor citation describing Munemori’s heroic actions in Seravezza, Italy, in 1945. Munemori enlisted in the U.S. Army in November 1941. He then volunteered for the 442nd Regimental Combat Team and later joined the 100th Battalion and fought in France and Italy. Among those to participate in the dedication ceremony were members of the 442nd RCT and officials from the Go for Broke National Education Center. Also on hand were Audrey Jones, Munemori’s grandniece, and Janet Nakakihara, Munemori’s niece. The Lincoln High Alumni Assn., Lincoln Heights Neighborhood Council and AARP collaborated in organizing the tribute and raising donations for the memorial.